I look out my kitchen window just in time to see a cactus wren fly toward a small saguaro cactus and land on it, quite safely. It always amazes me to watch this, and I wonder, every time, how does the bird know how to do that without getting hurt? Without thinking it, this line is in my head – the way a desert bird knows how to land on a cactus. My mind works to complete the comparison, and the answer rises from somewhere in the bedrock of memory and experience. I understand. I do know something about it. Maybe I don’t know the physiology or the physics of the bird’s technique, or how evolution handed the wren that kind of skill, but I know what it’s like to approach something (someone) that (who) looks so unforgiving, and has the potential to cause harm. And to go toward it, because that’s the only choice you have, the only thing you know to do. Anyone who grew up with a certain kind of parent can tell you how it works. Any child who lives in a house with a mother or father whose temper is sharp and cruel, where the possibility of getting hurt creates an atmosphere that is scary and confusing instead of comforting. Anyone who has ever been married to or dated or lived with someone who controls or rages…you know. You know what it’s like to wonder if it’s safe to speak up, or to ask for things you need. You know that the cells in the body are as receptive as the five senses to the shape of a moment or a day, how you can feel it in your bones, which way it will go. And where the senses take over, you always watch, always listen for inflection and tone, to the cadence of voice and words, to calculate where a conversation is heading. And even then, even then, that other person can catch you off guard. 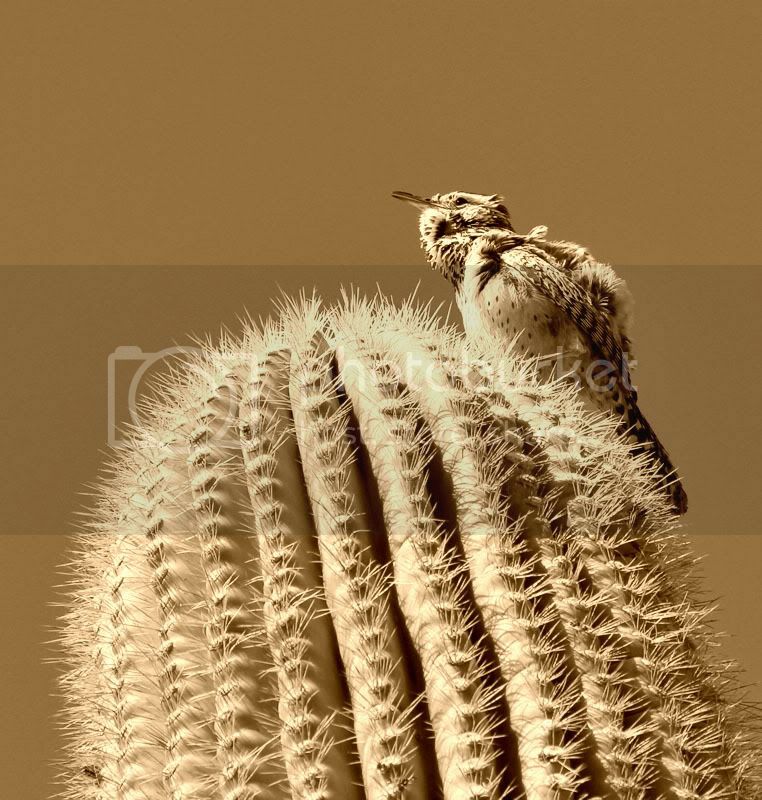 A baby bird caught midflight on the spines of a cholla cactus, impaled through its wings and body. Lifeless. I remember what a shock it was, to see a thing meet its end in that way. If the heat hadn’t convinced me yet, that sight showed me how inhospitable this place could be, its landscape so different from any other I had ever known. Everything prickly and hot and dry – it almost seemed angry, the desert. Yet, it was home. Just as the house and family of my childhood were home. As that nest in the cactus was home for that tiny bird. And there’s the confusion. When home and hurt come as a package deal. Worse, when those who live there are too young to know there’s a way out, who can’t do much else but fly toward it and hope to stay safe. I turned my girl away before she could see the little bird. Because I wasn’t ready for her to learn about the circle of life. Or the rest of it. Especially the rest of it. Wow. That’s a brilliant analogy. I think there’s a book there. And yes, I know. I’ve been there. Lucky to have not been caught in the spines, and hoping every day that my son learns to sit on that cactus–that damned cactus that the court system makes him return to every other weekend. Brilliant. I’ve landed on the spines of that cactus several times myself. After many attempts to learn to fly away and land safely somewhere else I finally done so. The decent to land was seamless and sure as I cruised in for that soft landing. Never to fly away and into the cactus again. I was very touched by this. Thanks for your insight, and perspective. Some people have said that our non-coercive, consensual living, unschooling life isn’t “real” life, and is not preparing the boys for the real world. I’ve always believed if the world is really that bad, I wanted our home to be a place they could come and get away from it then, be completely themselves, and accepted for exactly who they are. This gives another beautiful image for that – I want to be a safe place to land. I know I’ve said it before, but I love your writing. Oh, and? I don’t think the world is really that bad. I agree with McSwain – this is the beginning of an amazing book. “How to Land” is a fantastic title to a book. You have something here. Beautifully written. And I completely identify, having had a traumatic childhood myself. I am still dealing with the ramifications of “learning how to land” and the way that has colored my personality in the years since. I take comfort in knowing that my daughter doesn’t have to walk on eggshells around me… she lives in a world of happiness, love, hugs and cuddles and has never known anything else. The cycle has been broken. Oof. You KNOW I get this. You are really making lemonade out of the lemons you were handed as a child. You know, I’ve never even heard of this kind of bird? I wonder how little we all understand about each other simply based on our cultural/geographical differences? As a Wisconsinite, I can’t even fathom the idea of a desert, let alone a desert wren. There’s so much to mull over in this post. Beautifully written, as always, my love. Wow. I’ve been reading for a couple of months and never commented, but this… well, you hit the nail on the head. From another one who learned how to land. Thank you. for this. May I bow to the power of this post …..
As I was reading this I realized that although we had the same big family growing up, because our nuclear family was not the same, I never learned something like this. Oh, I have learned it in different ways and later, but even the matriarch didn’t affect me inthis manner when so young. I learned to avoid it, not land. And that is still my coping mechanism with the idiots of the world. I just stay away from them when possible. There are times I can’t, and I manage, but I’m guessing you land much better than I do. I guess it’s one of the benefits that comes from your horrible past. But your kids, they will learn to land from you, not the hard way. How beautifully your related this sadness of nature the to the sadness of nurture. I’m sorry you had such prickly beginnings but you’ve certainly learned how to give your children a soft place to land. I don’t know what to say….I loved this…I can relate…you have said volumes here….and back to I loved this. I know of that anger and I was “unsure'” for a good portion of my life. Eventually, I became the one that was feared and now I’m grateful, so grateful to say that “she” is gone to another place and hope to never see her again. how wonderful that you can protect your daughter from what you have had to endure. Why does my mind go to the Merchant of Venice demanding a pound of flesh? My girl, only 4, already knows too much about death. I wonder now if I should have shielded her better. I know. Geography is a tough subject. You are a sister of my heart. Yes. Just yes. Some days I wonder if I am the grown wren, landing safely, or the doomed baby bird, impaled on the spines. It is a journey, I say to myself. A journey, walking through the washed glass of my childhood and now the rocky shores of motherhood. You have such a way with imagery. Holy mackeral, that took my breath away and I wanted to cry for the baby bird, for you, for your daughter who is so lucky to have you as her mother. What a powerful piece. I am another who made it my lifes work to provide a safe place to land. Another pattern broken. Your words moved me to tears. Well done ongetting Post of the Day. I’ve been reading your blog for a few months now, but this is my first time commenting. This is, as usual, a beautiful post. Isn’t it amazing that people can turn out to be as talented, inspiring and caring as you are even after having such a prickly and dangerous place to land while young? Although my story is not exactly like yours, I know what it’s like to have “home and hurt come as a package deal,” and how challenging it is to overcome the insidious aftermath of that kind of start in life. Thanks for your wonderful writing. I think I would find myself fascinated by the spectacle of the baby bird impaled on the cactus. I would probably walk around it mesmerized and then remember my daughter was with me. It’s interesting that I could work so hard to change the trajectory of my life yet be so fascinated with tragedy. There’s a quality therapy session. Jennifer, Wow, I love this! !You have such a gift with your writing! thank you for sharing! Wow, this is an amazing post. It’s a great feeling to break negative cycles. Congrats on the POTD Award from authorblog. Things of beauty, the bird, your writing and you. This is one of the most thought-provoking and beautiful posts I’ve read yet. Thank you. david sent me…and I am very glad he did. I’m sorry, Jennifer. I thought I commented on this beautiful piece. It amazes me when you produce a dynamite post like this. So much in relatively few words.